My younger brother and his football team AFC Brighton and Hove did an amazing job on getting to the Sussex County Cup Final which was held today. I guessed it was kind of a big deal as I could see the nerves setting in on my usually laid back, confident brother. They played a top game but unfortunately had the title stolen when the opposition scored in the last 10 seconds of added time! They should all hold their heads high as they did themselves proud! I managed to find some time to pull out the recipe books and bake some sweet treats! I decided to practice my rose piping skills and was actually suprisingly pleased with the results! Needless to say the purple beauties didn't last long at all! I have managed to neglect my poor little bloggy once again...so lots to catch up on! I thought I would start with some of my favourite pictures from my recent trip to Barcelona! I completely fell in love with the city and enjoyed a few days replacing the cold English February with sight seeing, tapas, sangria and sunshine! Last week I assisted on my first outdoor shoots at Kew Gardens in West London. The location was perfect for capturing the gorgeous Autumnal weather we have been having and the shoots turned out super good! Here are a few photos I took on my phone during the shoot, visit the TandyKerry site to see the results of the final photos! 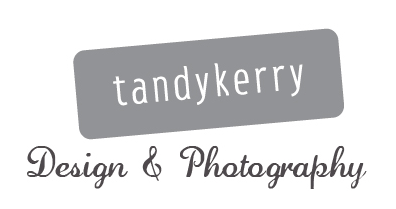 Some exciting things have been happening on the career front...I got myself an internship with TandyKerry, a Photography and Graphic Design company based in Ealing Broadway, West London. I have been interning for about two months now and am really enjoying my time there. Recently we have been working on several projects, including the relaunch of the tandykerry.co.uk. The site is mostly up and running now so pop along and take a look! The owner of the company, Tandy Van Schalkywk, has previously worked for London design agency Vibrandt and leading London stationary company, Hazlitz. She specialises in baby and children's photography any many areas of Graphic Design. I have learned so much on my internship so far and Tandy is a pleasure to work for, I couldn't of asked for a better internship to kick start my career! I will keep you updated with what we are getting up to at TandyKerry! So last week one of my closest friends left our home town to move in with her boyfriend and begin her nursing career in Essex. I was very sad to see her leave and wanted to give her a gift that she would really like. I designed her some change of address cards and matching stickers so she could let everyone know she had moved. I used moo.com to get them printed and was really happy with the results! Uploading my artwork was so simple and the turnaround was fast with a quality end product. My other friends loved the stickers so much I already have several requests for more personalised sticker sets! I also made a frame using wooden letters as a gift for my friend and her boyfriend in their new home together...I wish them all the luck for the future and am so proud of my friend for taking the first step in her career!